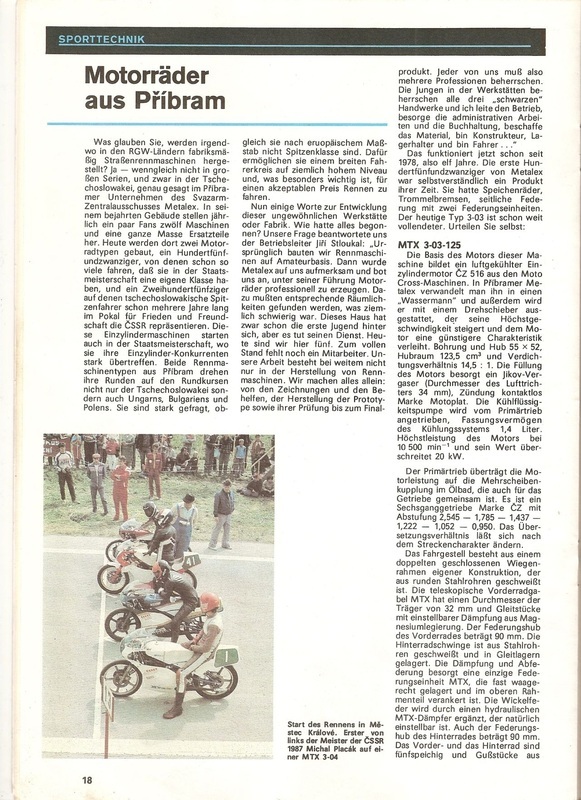 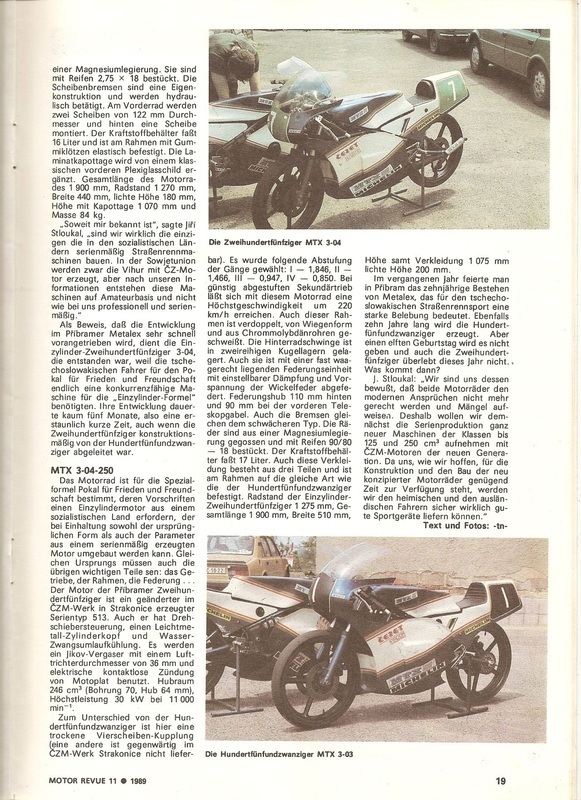 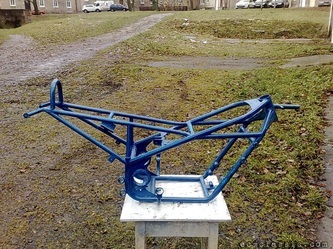 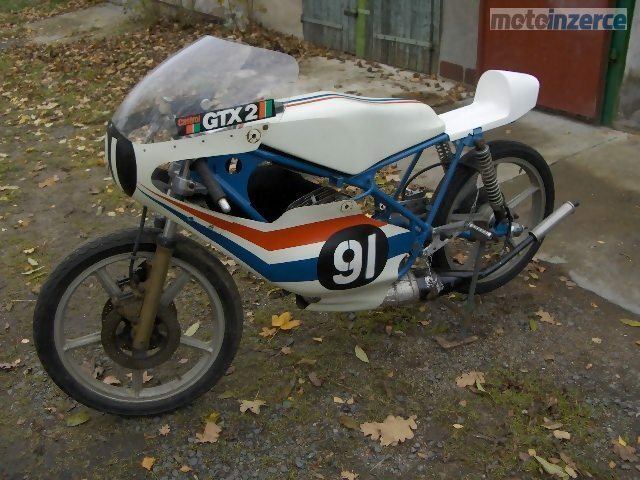 Motorsports specialist from Pribram that was founded 1969 by Karel Jilek and Vaclav Bervid. 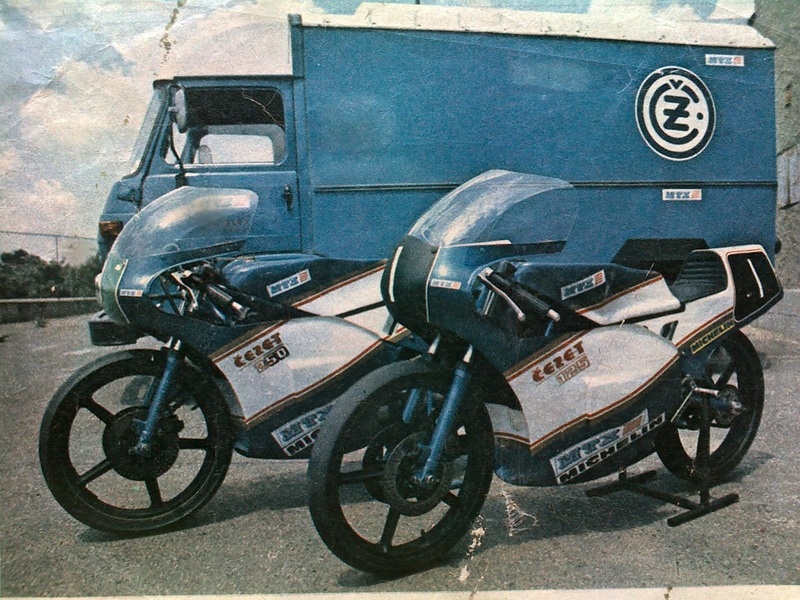 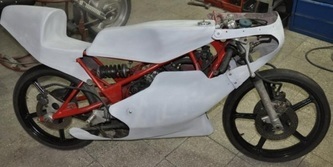 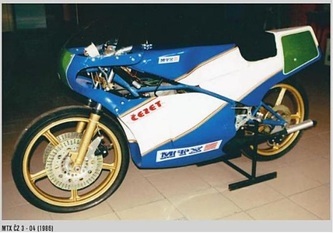 The racing motorcycles have a CZ motocross engine and are coded 3-01 to 3-04. This leads to the conclusion 4 versions were made. 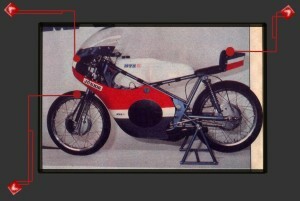 Some with 250cc and some with 125cc engines. 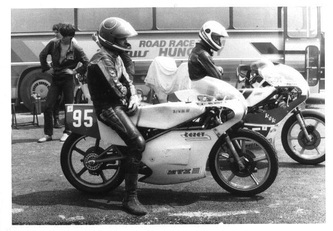 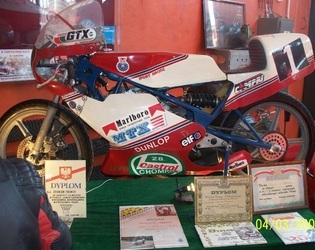 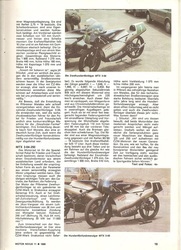 Possibly a total of 250 racebikes was reached ,making it one of the most succesful eastern-block racing motorcycle producer. 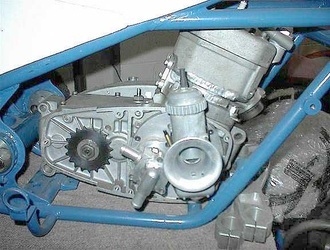 The 125 usually has a CZ 516 engine converted to rotary inlet and watercooled cilinder. The 250 evoluated from a standard CZ cross engine to rotary watercooled special. 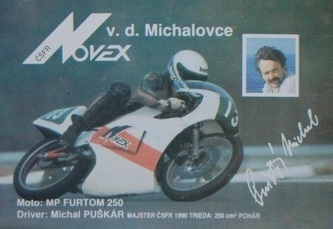 MTX still exists as carsport specialist and is now located in Melnik ,Czech Rep. 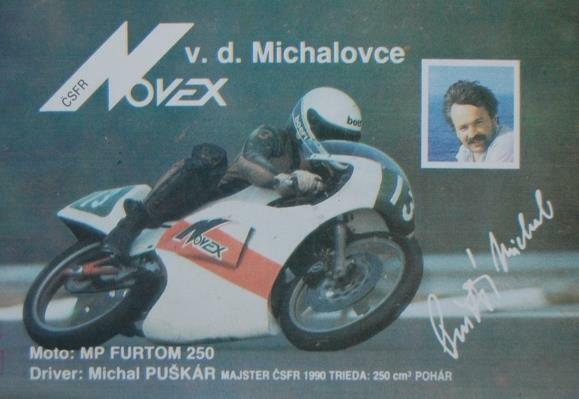 The MTX company bears a lot of similarity with the Vihur company of Estonia.